If only one word would be chosen to define what African art is, it would be AMAZING. Not in its commonly banal sense, but in its proper sense : what takes you out of the maze. African art gives a direct access to art in terms of pure perception. It is, in terms of construction, free from all Occidental canons. Therefore, a direct reading is made possible, through senses, at first, then out of what (you thought) you knew before. To paraphrase Tim Leary, it allows you to turn on, tune in, then drop inhibitions. If people of African descend could just accept to simply contemplate African works of art, it might/ should/ would open an invisible gate on an immense field of very ancient, yet still live, culture. Further than the forms, African art contains history, traditions, myths, and legends of which art is the memory. As Professor Henry Louis Gates, Jr. did, it is today possible to research (with DNA) about your ancestors and discover your main original ethnic group. Considering the vastitude of Africa and diversity of cultures, knowing, for instance that you are originally Chokwe (a major group of western Africa) would help focusing, research, and learn specifically and deepen your understanding beyond superficiality. Not so long ago, African art was regarded as a curiosity at best, as a proof of primitivity at worst. At the turn of the XIXth century, African art not only became a major source of inspiration for avant-garde artists, but a mind opener for all, and clearly, a key part of humanity’s cultural patrimony. African art is not only an essential eye-opener, but a fantastic mind-opener. As a conclusion, Picasso once heard a man say « I like realism » Picasso asked him to show what he meant so the man gave him a monochrome picture of his wife. Then Picasso said : « I understand your wife is two dimentional, monochromic, and mesures about two inches ». The Collector from No Problem on Vimeo Filmed and Edited by Mark Zemel Additional Camera by Jorge Duran. 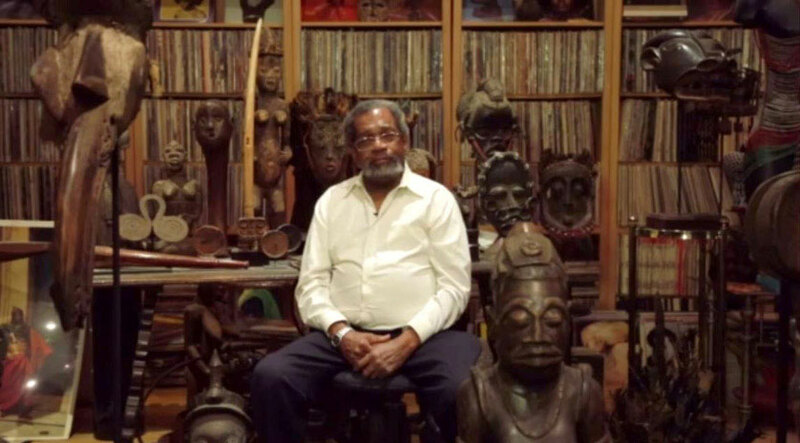 kickstarter projet: Cultural Museum of African Art Eric Edwards Collection. This project’s funding goal was not reached on July 25, 2015. Thank you Marguerite for your kind words. I am sure you do! Thank you Marguerite.